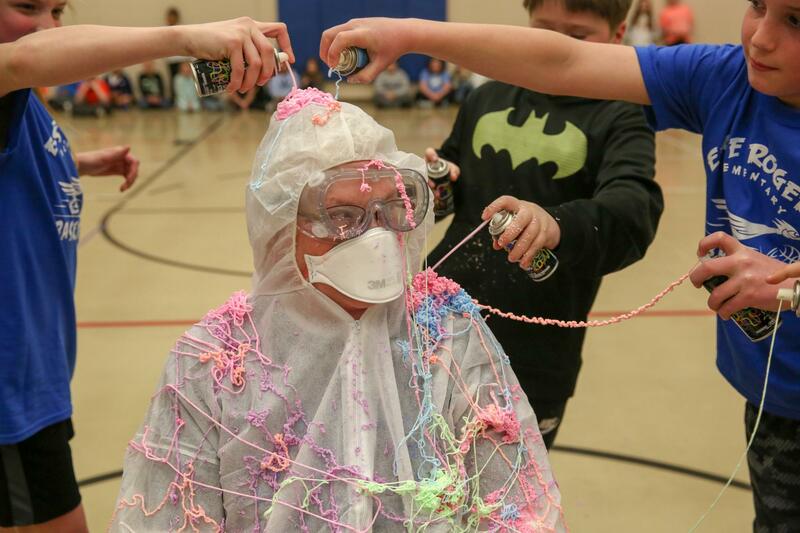 What do you get when you combine basketball, silly string and a good cause? 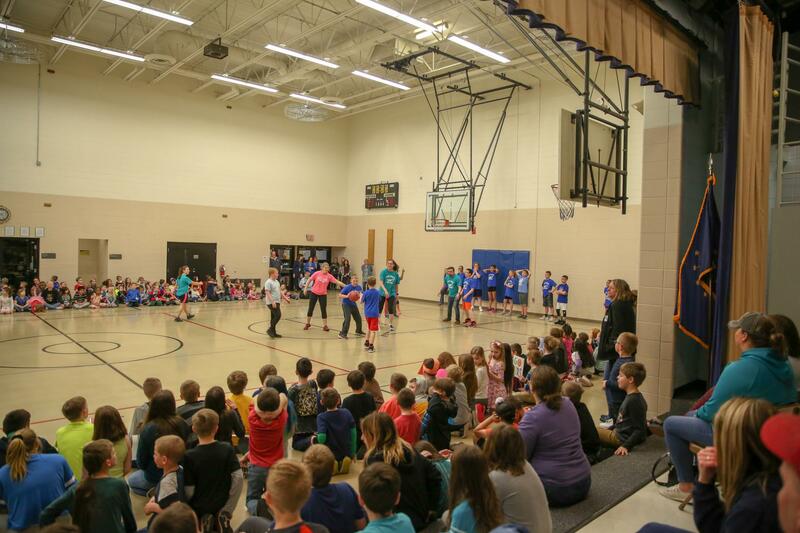 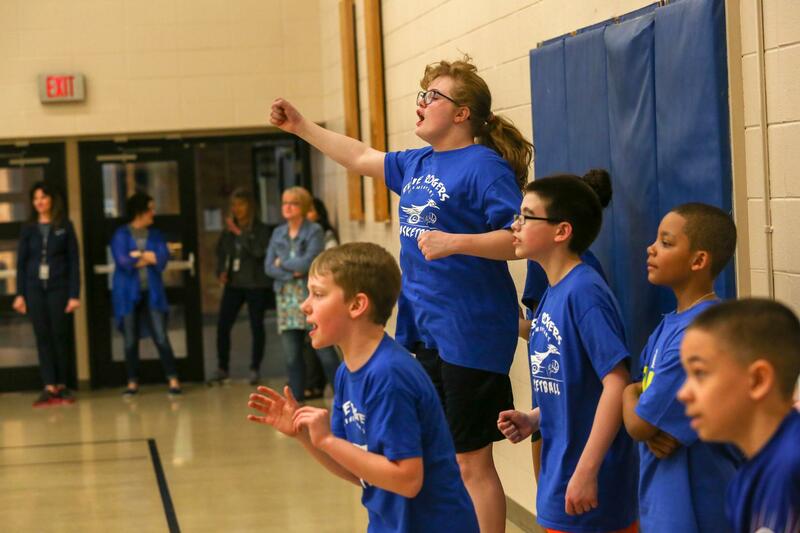 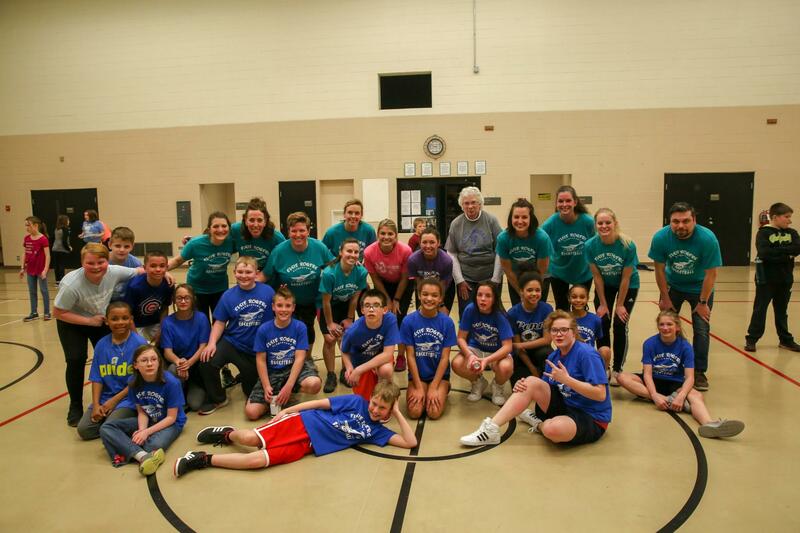 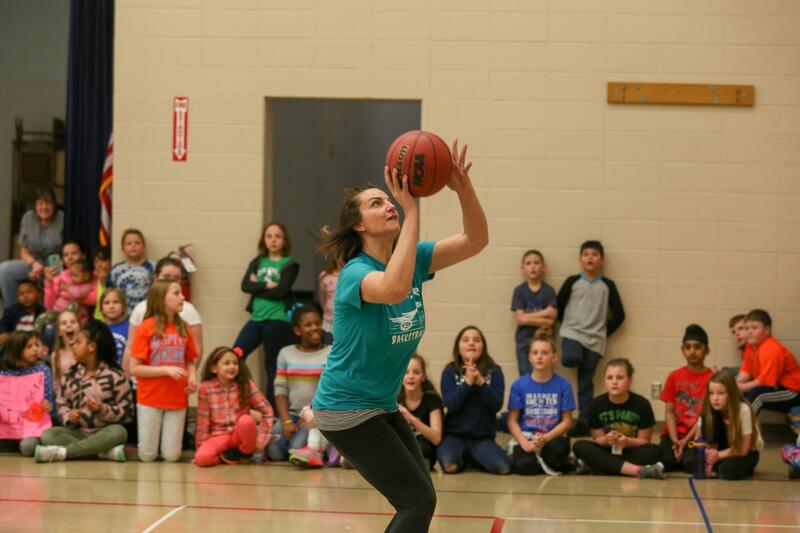 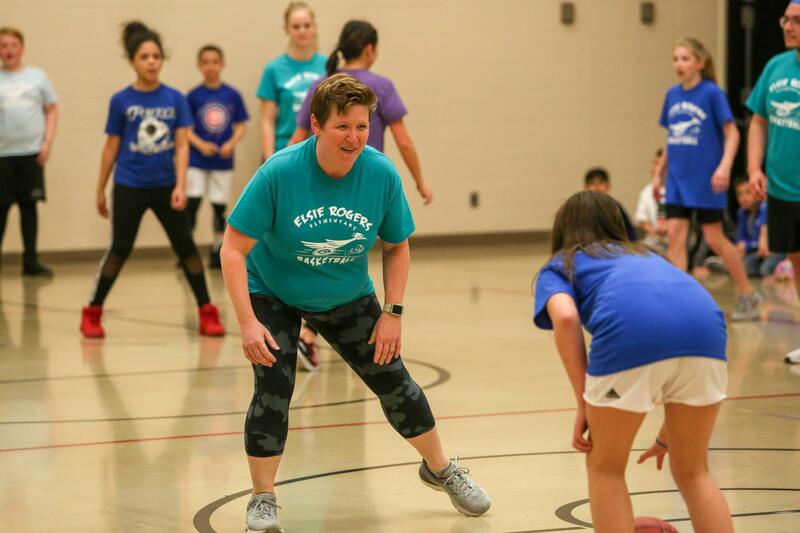 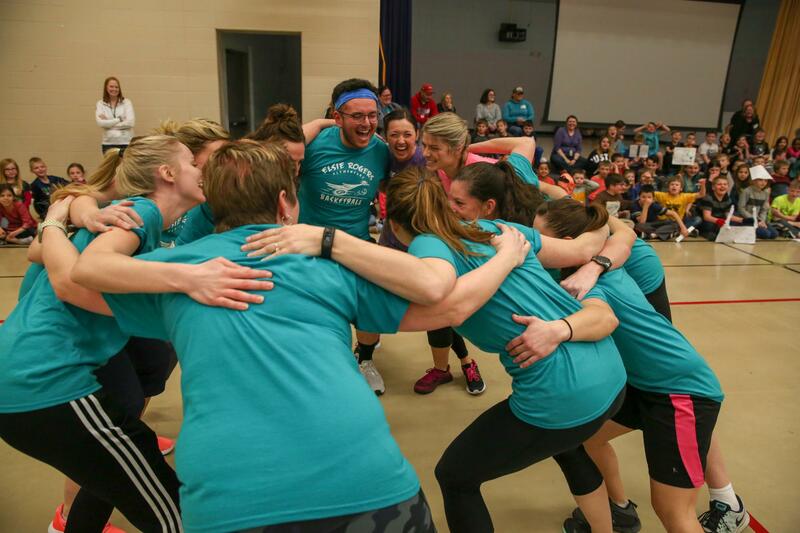 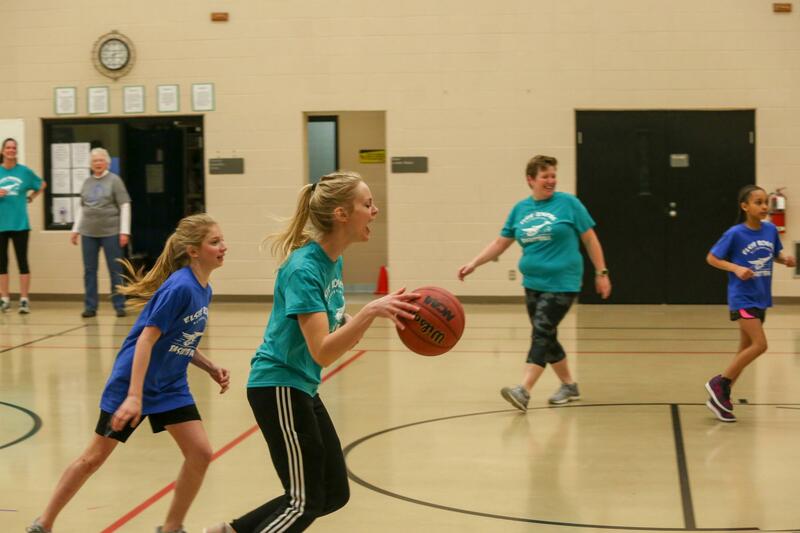 The answer is the annual Elsie Rogers Elementary School Students vs. Staff Basketball Game! 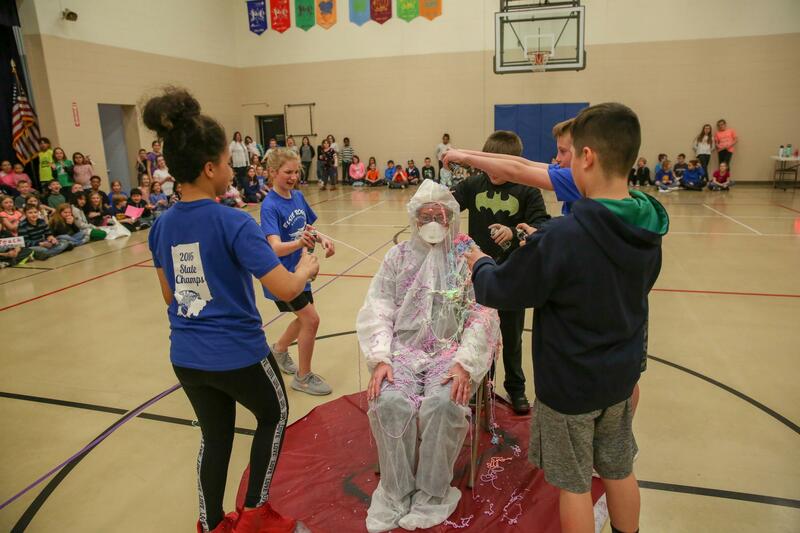 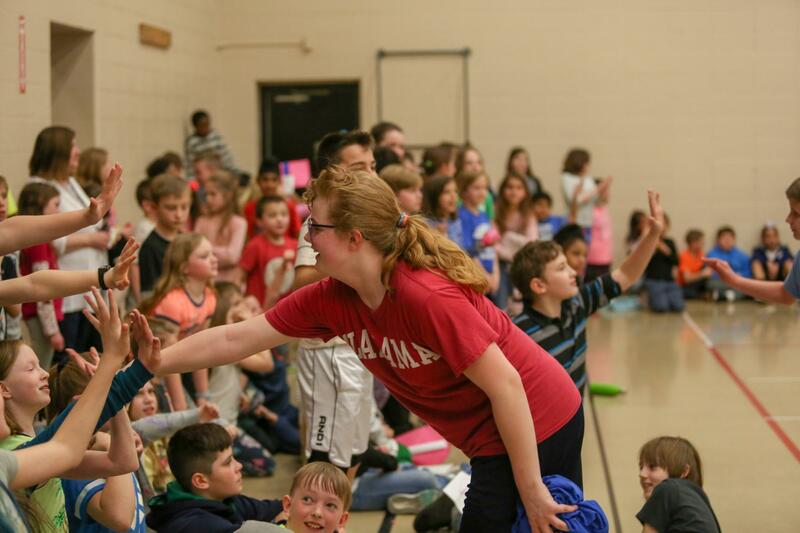 The students have been having a “quarter war” with all proceeds going to the 2019 P-H-M Silver Mile Run Bubble Bash, which in turn supports the Penn-Harris-Madison Education Foundation. 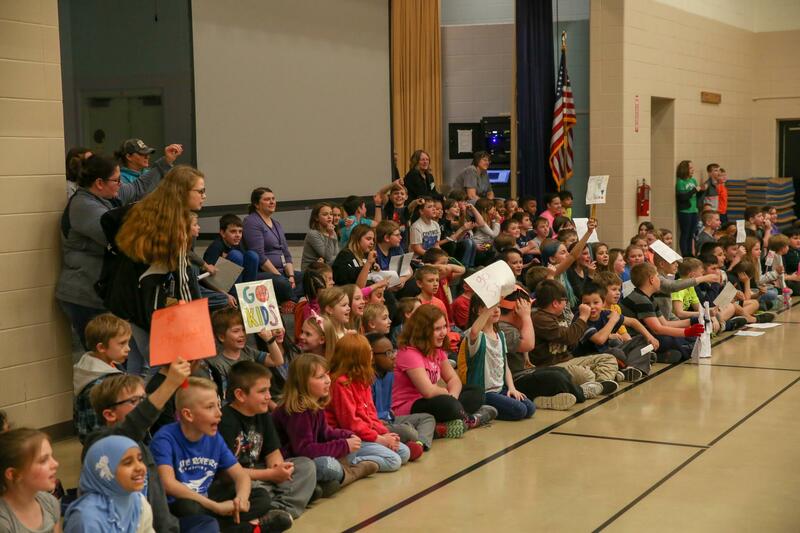 The PHMEF supports value add educational programs across the P-H-M school district by awarding innovative teaching grants, scholarships to students, staff development and other corporation-wide initiatives. 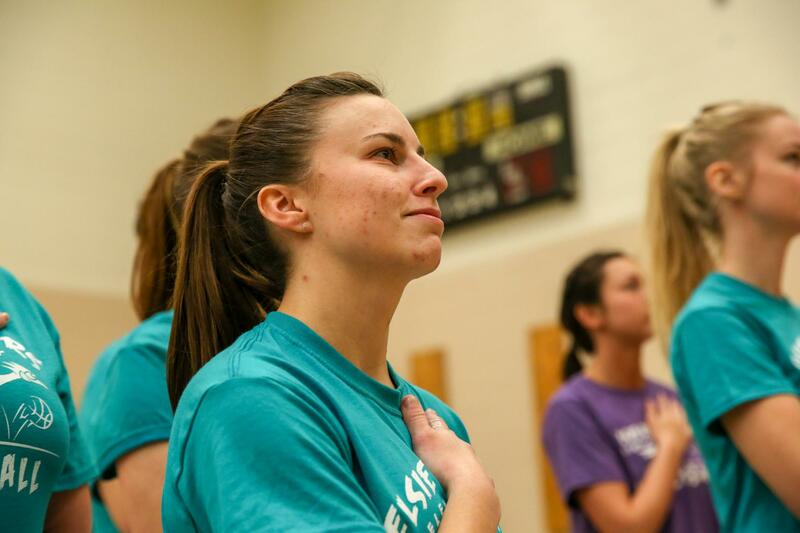 To kick off the festivities, our very own Kara Front (first grade) sang the national anthem. 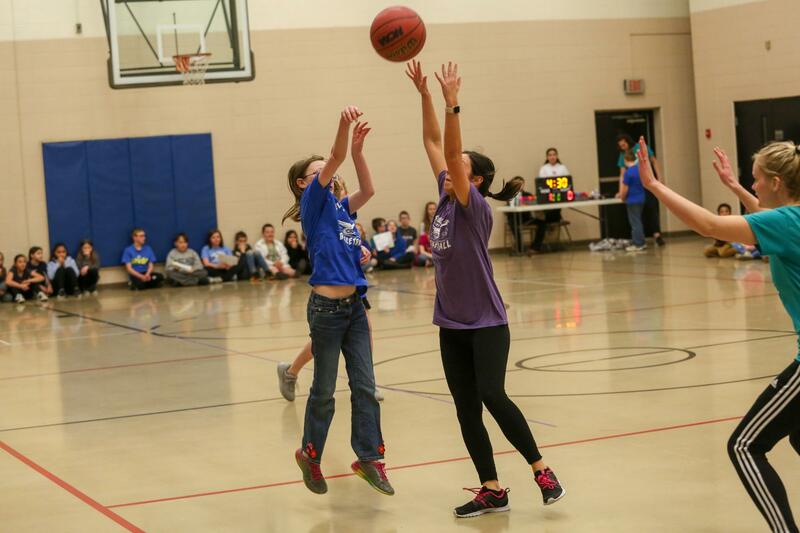 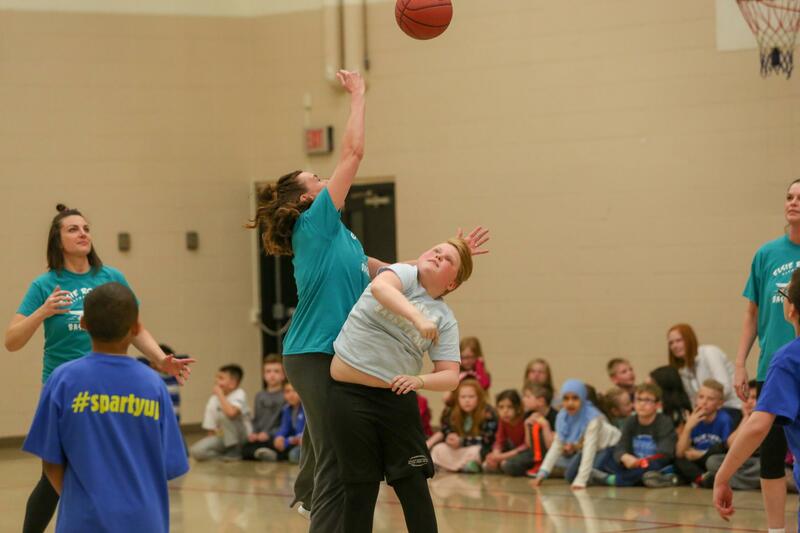 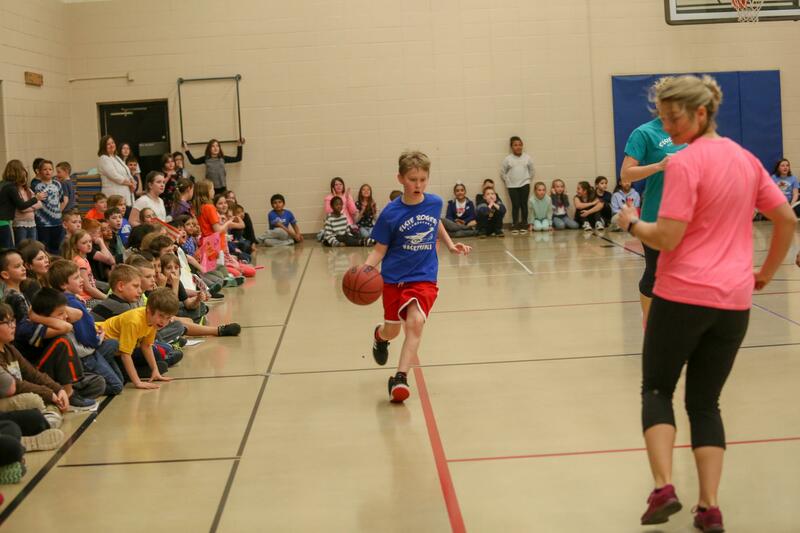 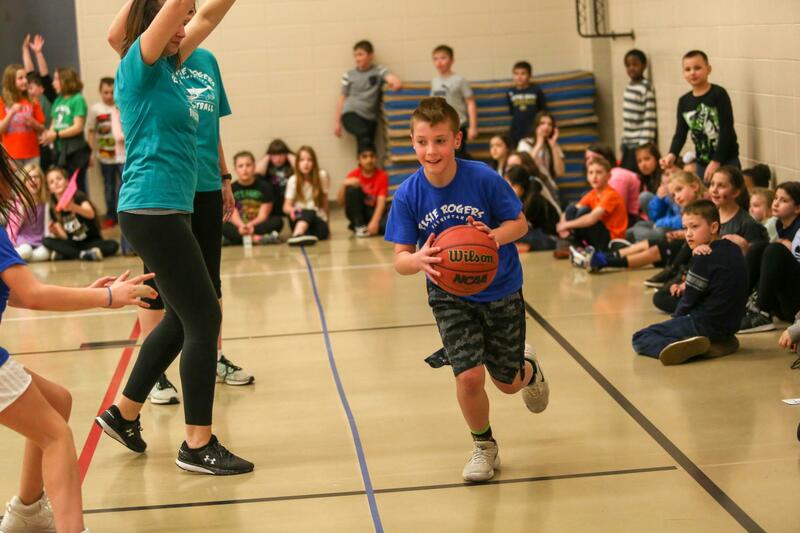 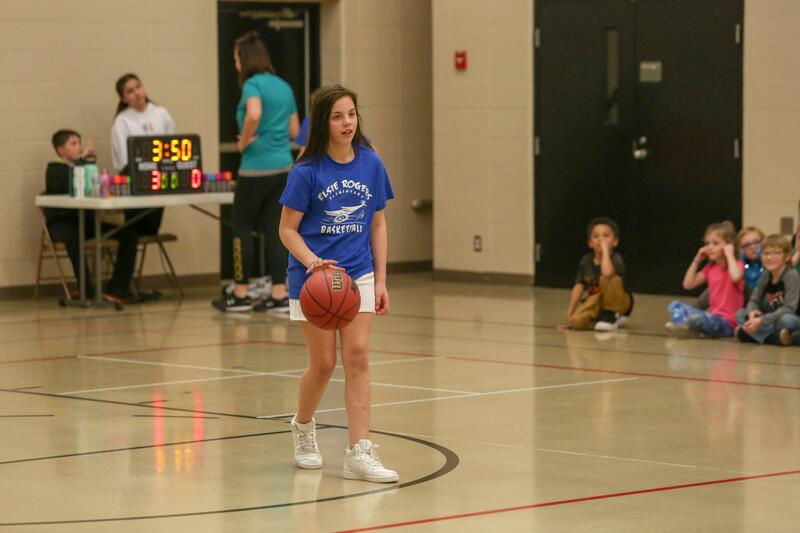 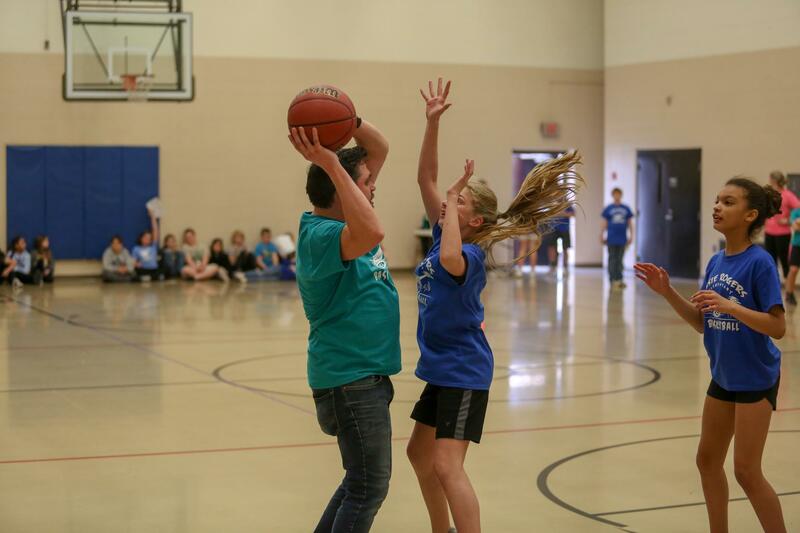 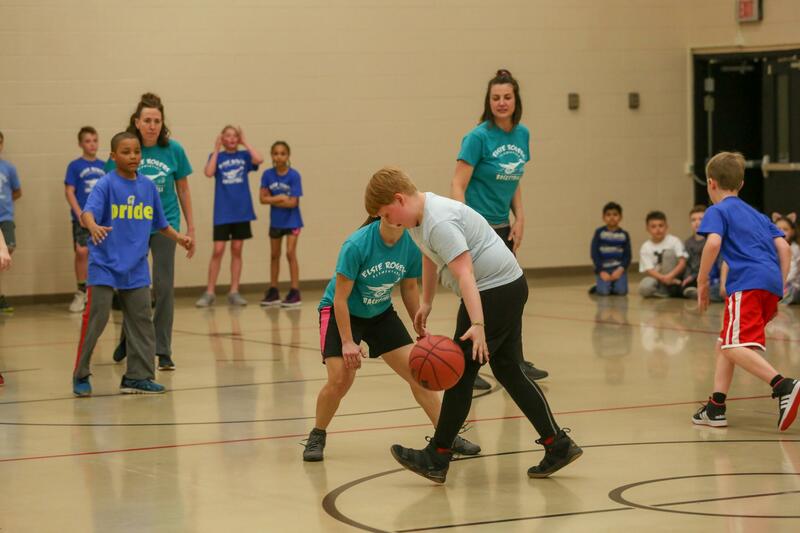 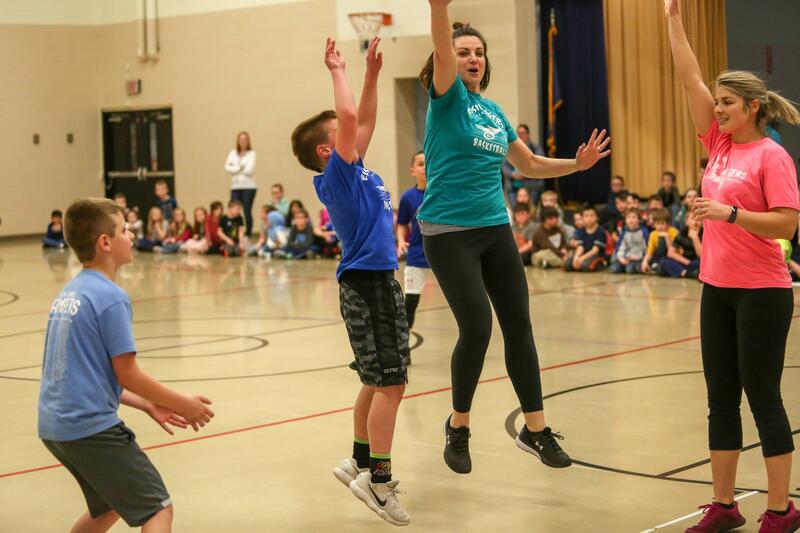 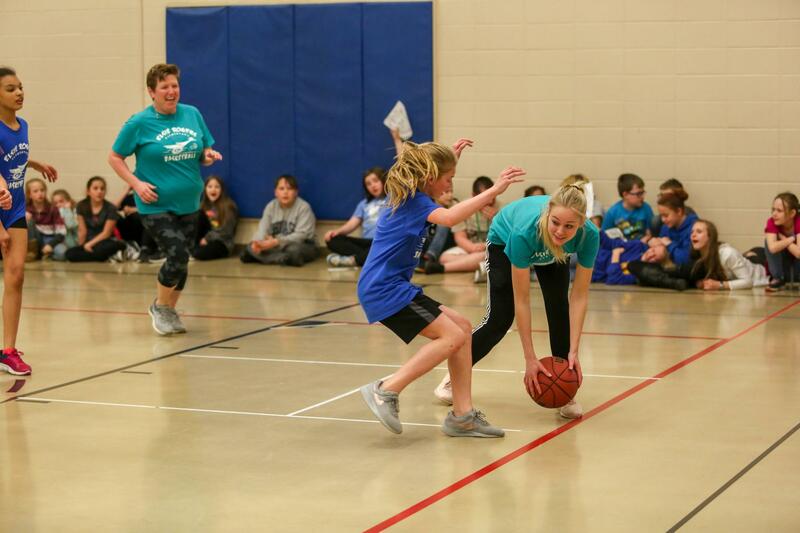 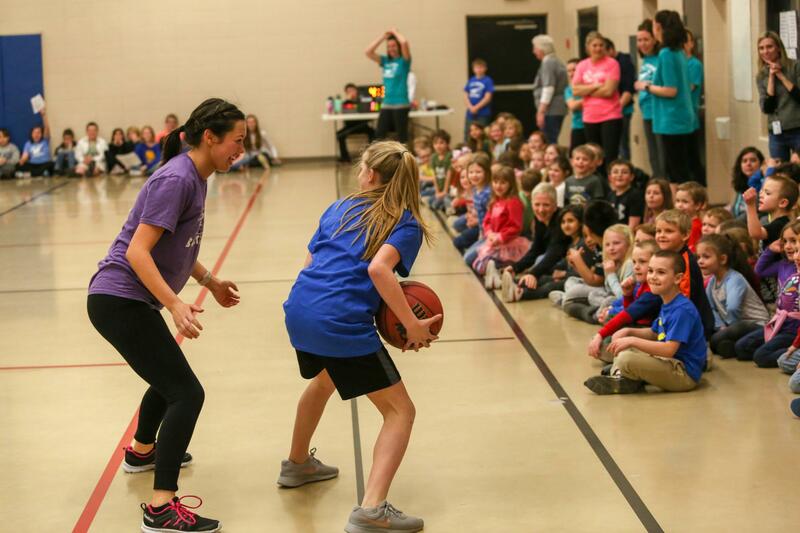 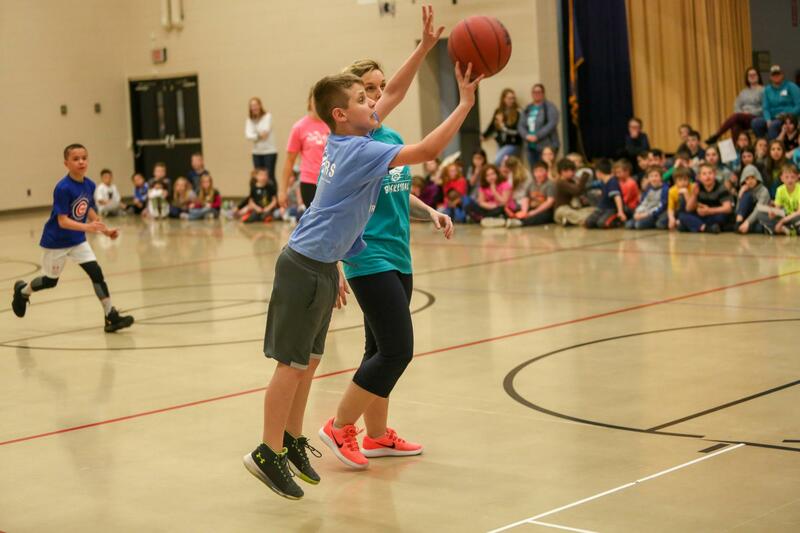 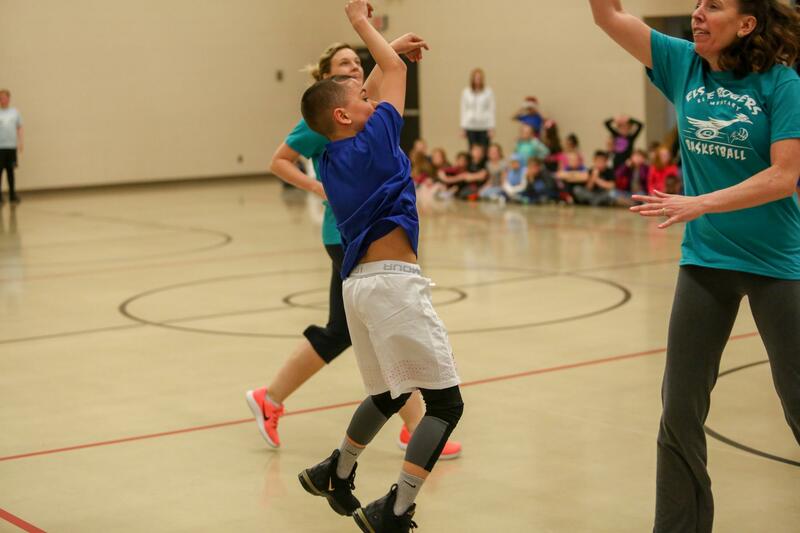 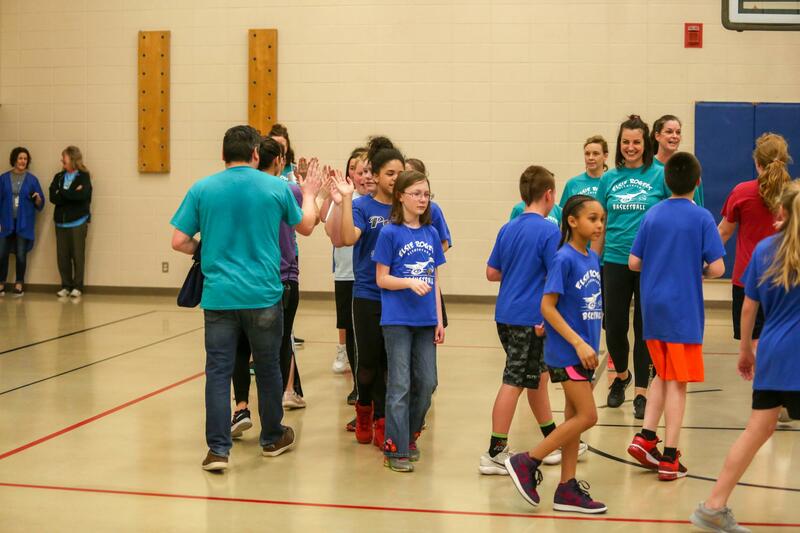 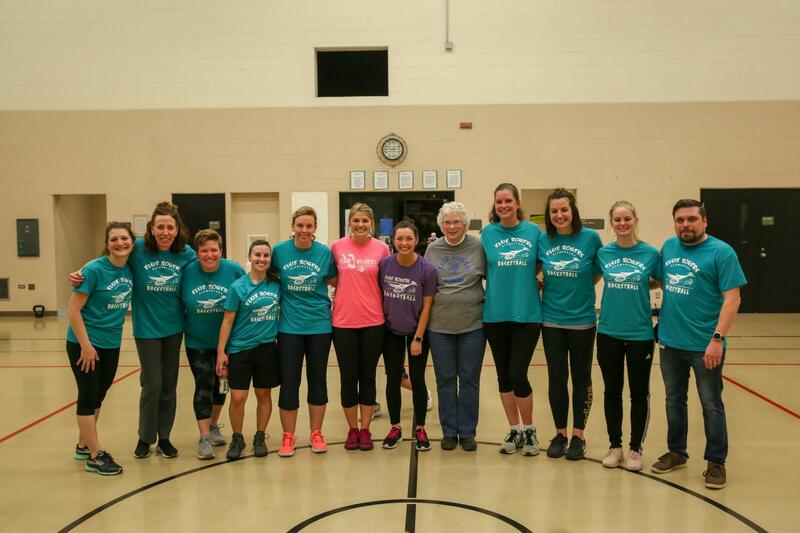 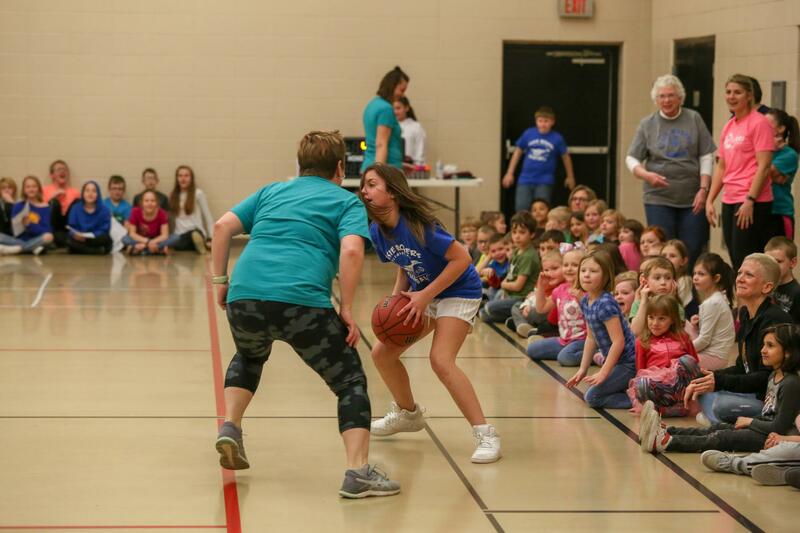 Then it was time to hit the hardwood as our 5th grade intramural basketball players took on the Elsie Rogers teachers and staff for a friendly game of basketball! 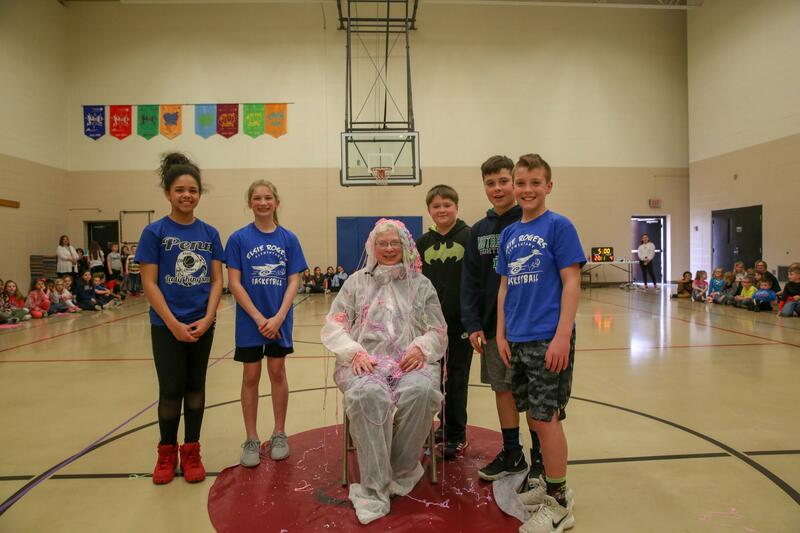 The students got some halftime entertainment when Literacy Coordinator Joy Johnson, who has been at Elsie Rogers for 47 years got covered in silly string! 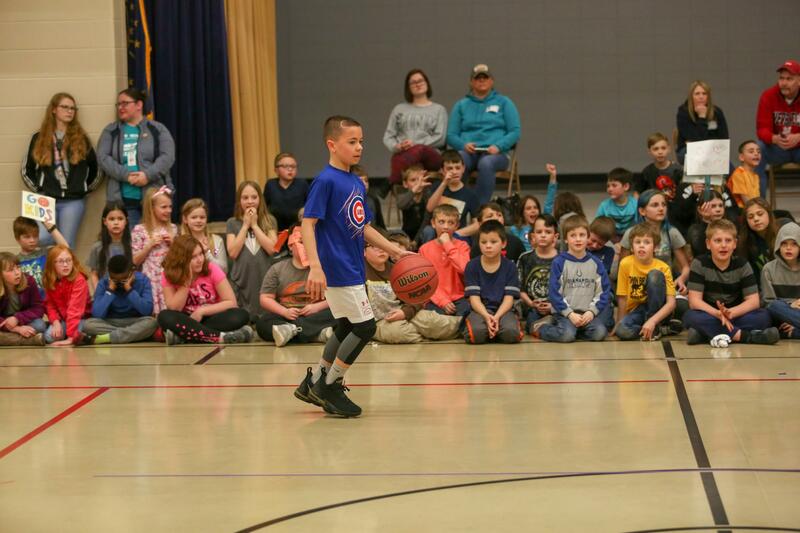 The school raised $790.56. 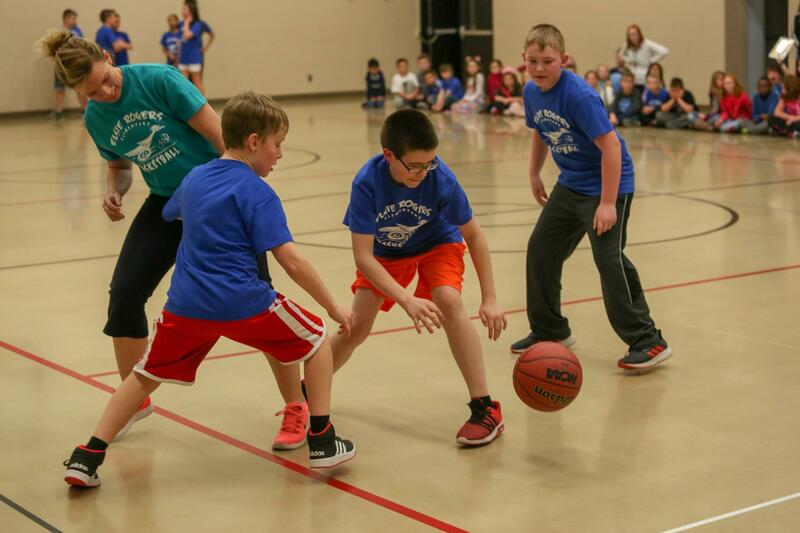 Way to go Roadrunners! 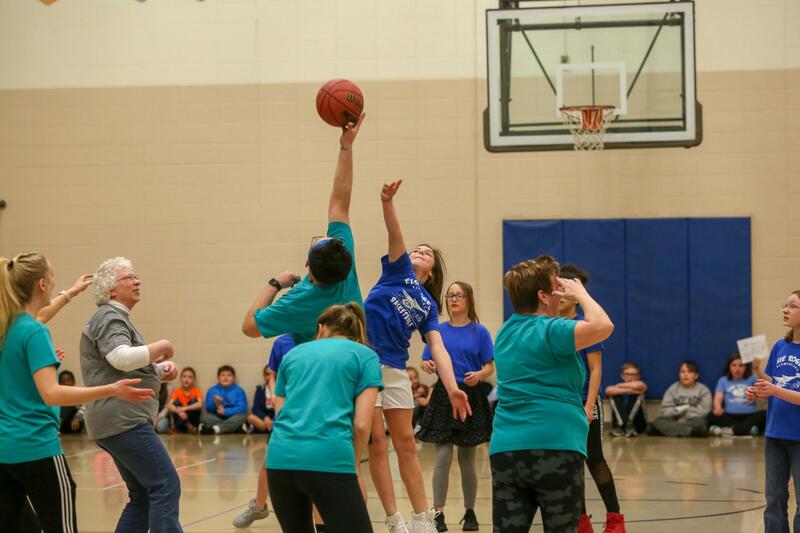 To download high resolution jpg files from the photo gallery below, just simply click the “DOWNLOAD” button on the bottom right-hand corner of the photo while viewing it in the Photo Gallery function. 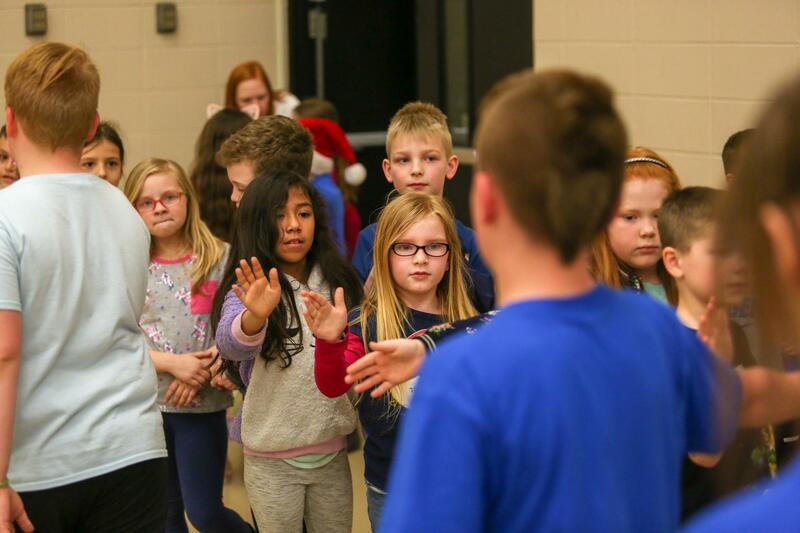 We are happy to provide this service to you free of charge.